I’ll write a complete food guide soon. 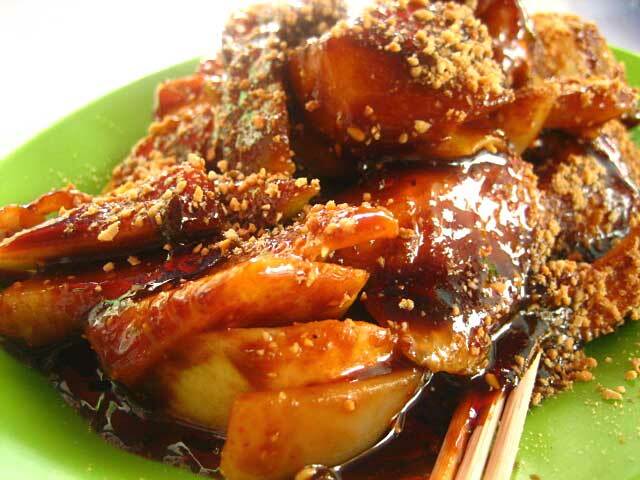 For now, here are some of the most famous hawker food in Penang. Hainanese Chicken Rice served with fresh cucumber and chili sauce. 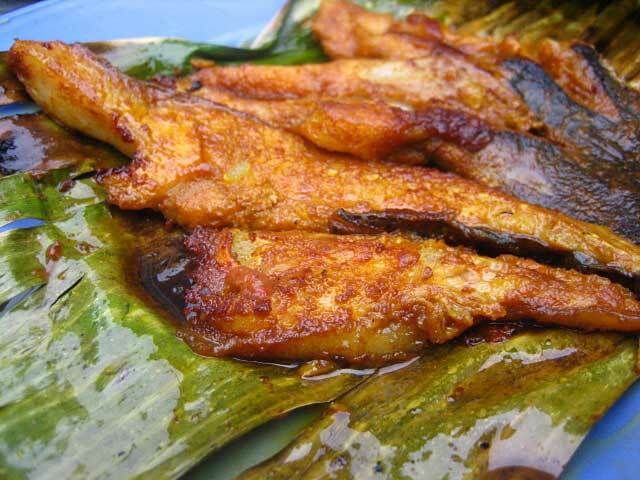 Apong Manis or simply known as Apong. 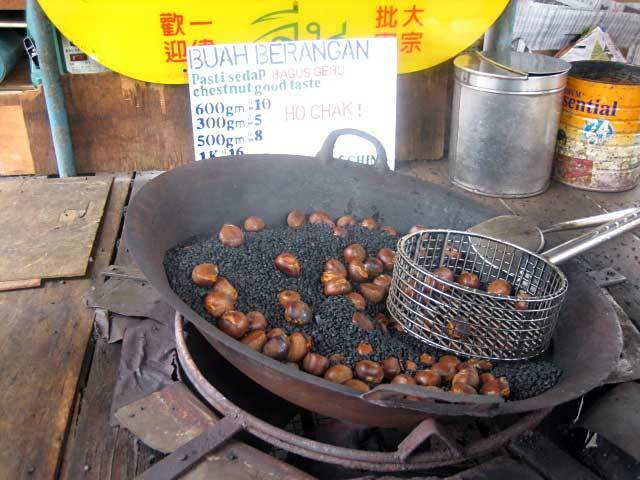 Roasted Chestnuts. Locally, they are known as Lat Chee. 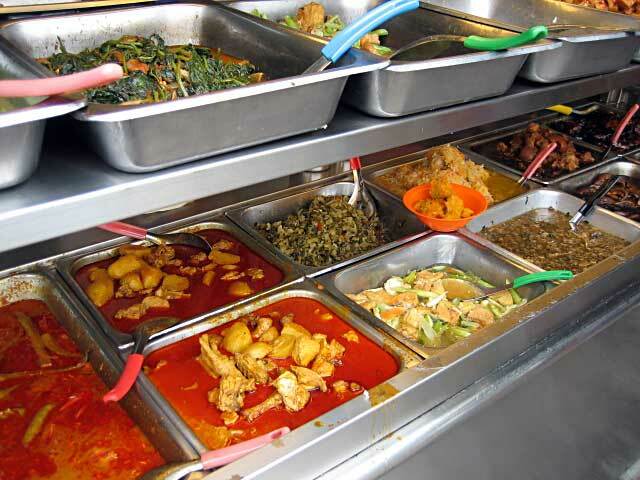 Hot food, curries, and home-cooked dishes served at a Chinese Economy Rice stall. 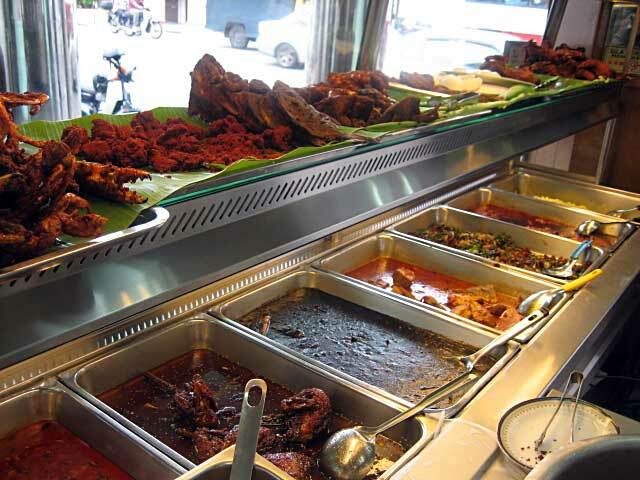 Nasi Kandar at an Indian restaurant. 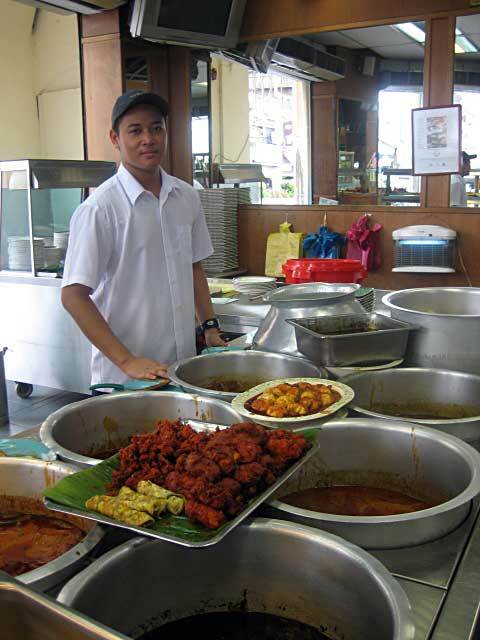 Curries and fried foods at a Nasi Kandar restaurant. 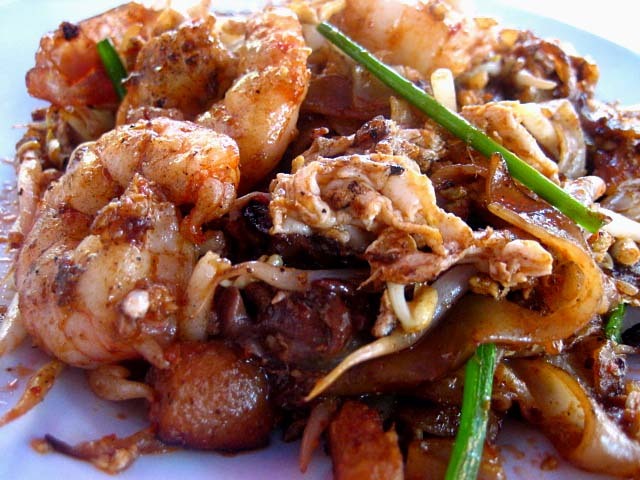 Char Kway Teow or stir-fried flat noodles with prawns, cockles and eggs with soy sauce. 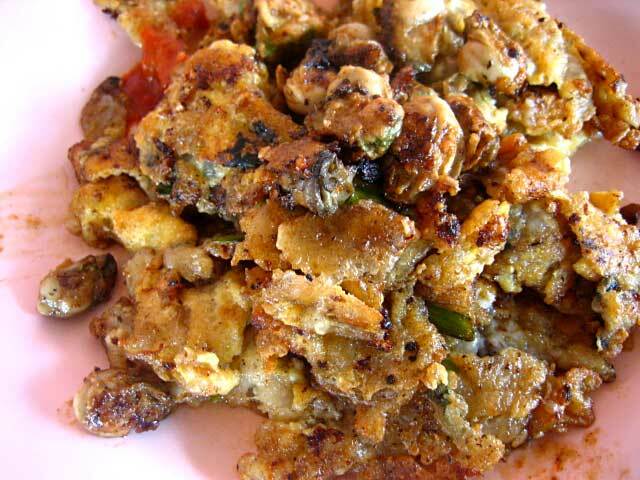 Oh Chien or Fried Omelette with Oysters. 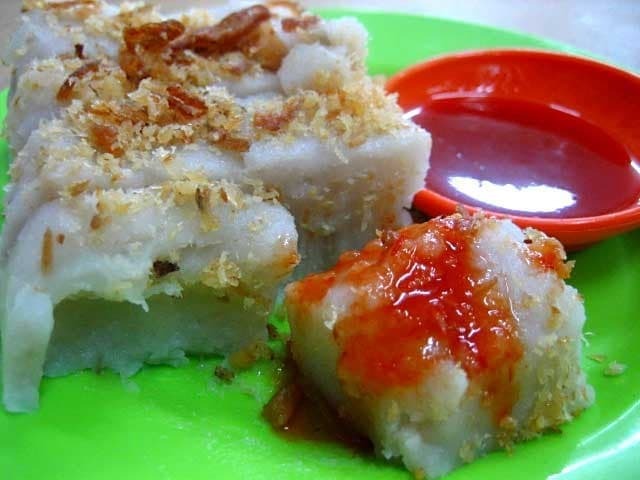 Or Kuih or Yam Cakes. God, those delicious good eats !!!!. I am really home sick now:(. Need to make a trip back home fast to curb my craving !!! You rock BEE. Good job and really enjoying reading your blog. Going to eat more today (my last day here!) and will snap more pictures. Stay tuned for more mouthwatering hawker delicacies. d CCF looks really good…. Yums..!! envy you ..!! 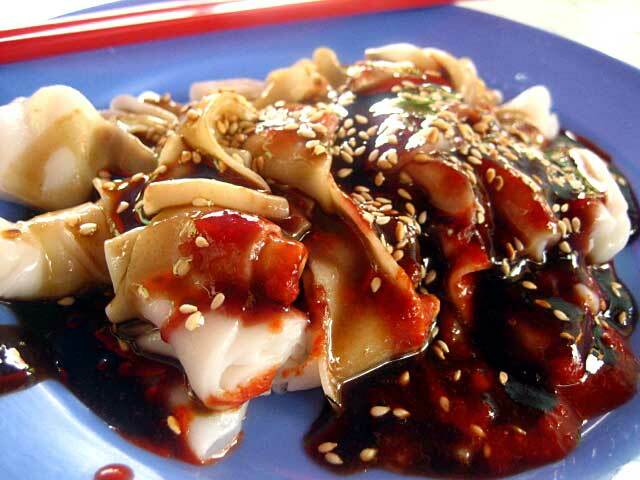 can’t wait to read your write up.. on Penang Fare..! You have good skills in taking food pictures. I will come visit your site from time to time. Keep them coming!! Bee, love your new food blog! Looking forward to reading/seeing more. Hi… i love ur blog.. Such as the place where u ate the food.. and maybe the price as well. I will do a complete write-up and food guide soon…just haven’t had time to finish the article. Stay tuned. 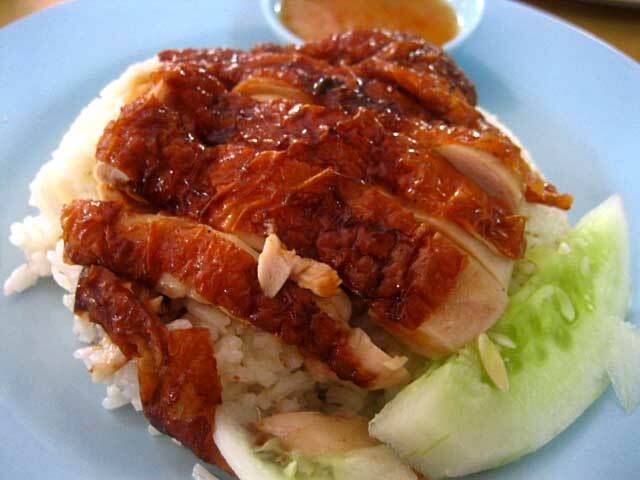 Oh my, the Chicken Rice and Char Koay Teow photos are so tempting! I just had a fullsize Indian set lunch and yet looking at your pictures, I am salivating again! 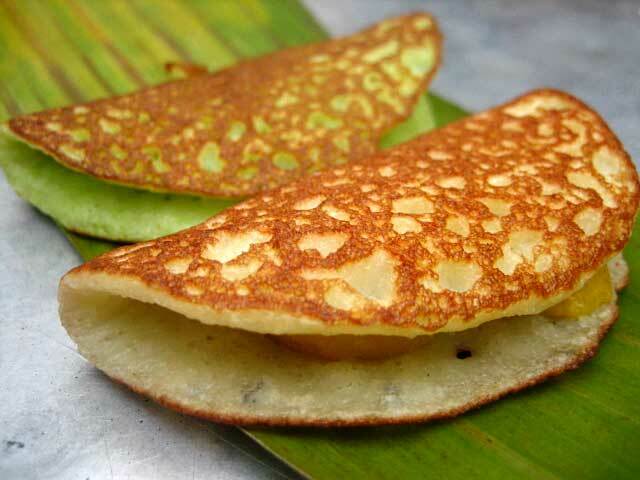 By the way, the “apong” isn’t it “apam”? 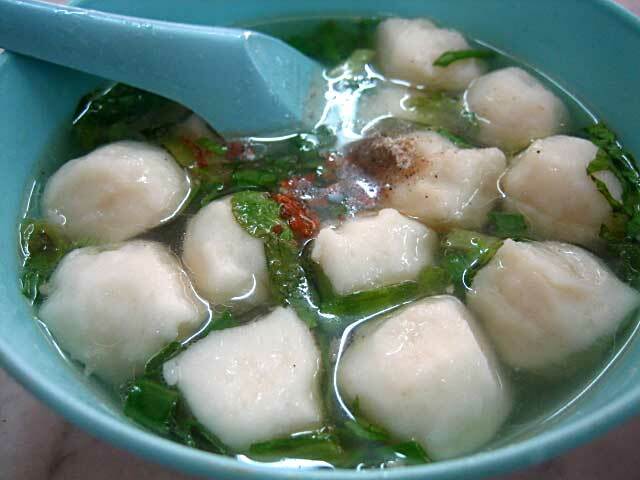 Or is that what it’s called in Penang? 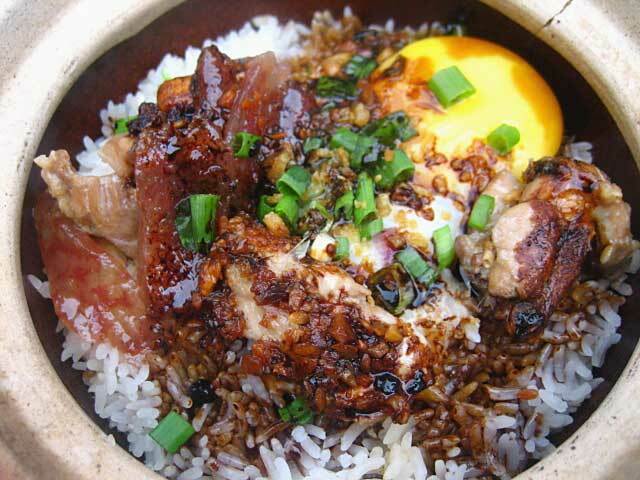 Very Nice blog, i miss penang food. You are very cruel! Torturing us with such food pixs while we are freezing our butts off half the world away………sigh!! Are you tired of trying different diet plans, with no positive results? Turn to South Beach Diet. This is not a traditional low-carb plan. What makes it different is that here you’ll be encouraged to choose the right carbs like whole grains, certain fruits and vegetables and right fats like olive and canola oil and lean sources of protein. When you eat bad carbohydrates and fats you tend to feel hungrier and thus you end up eating more causing weight gain. Good carbohydrates: They have a low glycemic index so they can be digested and absorbed slowly. They are high in fiber or high in good fats. You should also eat fiber or fat to slow digestion of the carbohydrates. Good fats: They are polyunsaturated and monounsaturated fats, especially those with omega-3 fatty acids. Saturated and trans fats are bad fats. South Beach Diet was created a well known cardiologist, Dr. Arthur Agatston. He developed this diet for his cardiac patients after a lot of scientific dieting research. The best thing about this diet is that you will get your three, normal size meals everyday and you can even enjoy your snacks and deserts. In just a short amount of time you will see incredible results. So you can not only enjoy your favorite foods but you can also put your fear of getting fat to rest. According to Dr.Agatston, when you consume bad carbohydrates especially those found in foods with a high Glycemic index, they create an insulin resistance syndrome which is an impairment of the hormone insulin’s ability to properly process fat or sugar and not only this, bad carbohydrates also increase the chances of getting cardiovascular disease.Therfore his diet includes the consumption of good fats and good carbohydrates. This diet works in phases, the first two for a specific timeframe and the third phase for life. Phase I -You will eat normal-size portions of lean meat, fish, eggs, reduced-fat cheese, nonfat yogurt, nuts, and plenty of vegetables including snacks and desserts. This will last for two weeks. You would have to high or moderately high-glycemic carbs so that you eliminate insulin resistance .This way the body will lose its insulin resistance, and thus use excess body fat, causing the dieter to lose between 8 and 13 pounds. Phase II- Whole grain foods and fruits will be reintroduced in your diet, although in smaller amounts than were likely eaten before beginning the diet, and with a continued emphasis on foods with a low glycemic index. You should continue to lose weight until you reach the desired weight. Phase III- This begins when you reach the desired weight. Here you will continue to make good eating choices which would include three servings of whole grains and three servings of fruit a day. btw, i found your blog while google-ing for oh-chien :S Almost wanna fly back to Msia right away after seing the hawker food pics. haha! Wow, the food is so nice, but it looks hot… by the way I think your hot too!! you are so cute!!!! 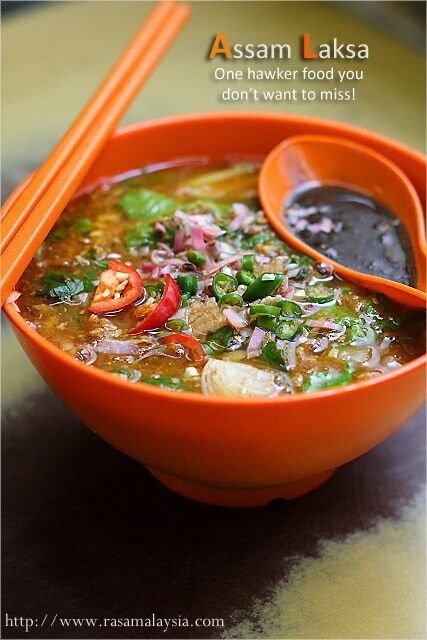 I may bring you tastiest Laksa in Penang next time ……. I am not sure when this blog was started or if you will see this but I wanted to ask you about the Apong Balik. Is it filled will peanuts? 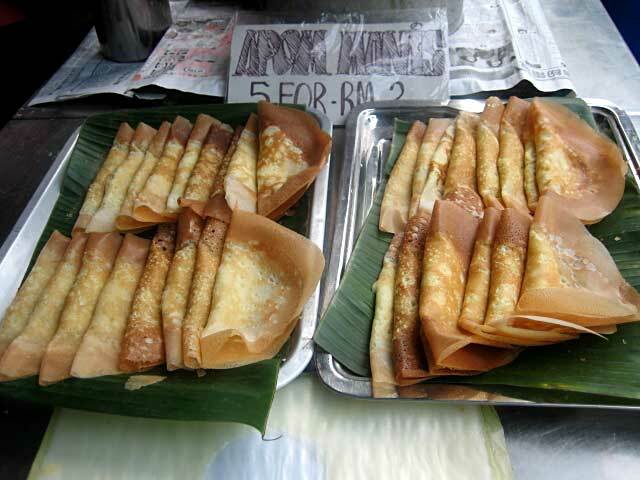 I remember walking in Kulala Lumpur and one of the street vendors there made a pancake looking thing that had peanuts and was so sweet and delicious. I wish I could find a recipe for it to make here in the states. I wish I could go back to Malaysia… its been 22 years since being there. Girl, you’re Malaysia… Thank You for bringing me home everytime I enter your site!!!! GREATTTTT Job. Thank you so much for putting this blog together!!! 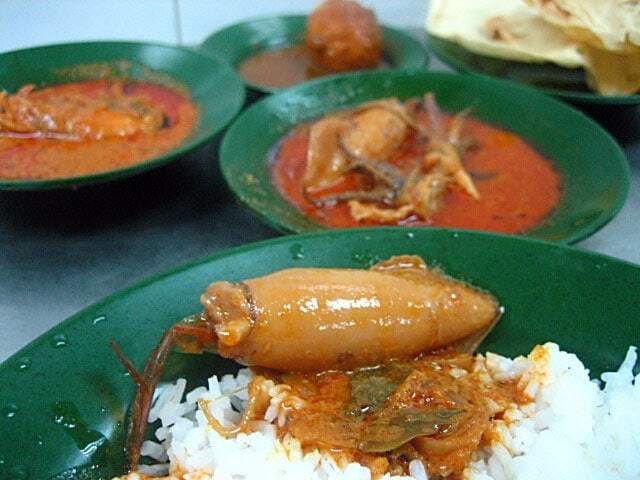 My mouth’s watering and i was speaking like Lim Keng Yik ;p when describing these dishes to my KL friends here. I MISS PENANG!!! Sorry to sound negative, but that’s how much I miss Penang food, the people and the laid back life. Cheers! Great photos. Makes the food look delicious. Beautiful photos and very nice presentation of food and dishes. Just by looking at them turns on my appetite and craving for food. I love this website…I’ll keep coming back! Thanks for sharing!